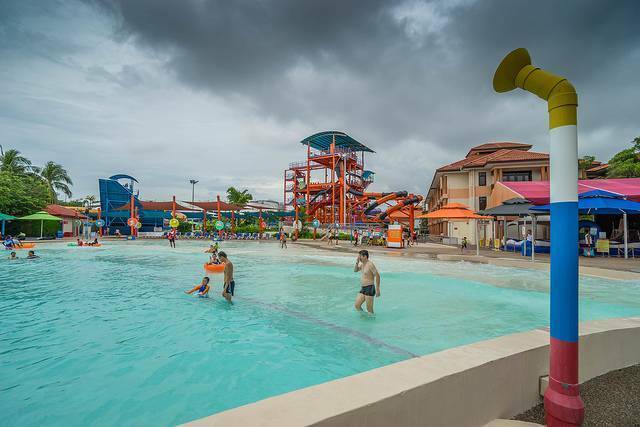 Located at NTUC Downtown East in Pasir Ris, Singapore, Wild Wild Wet is the largest and biggest water based theme park in Singapore. The slogan of this park says it all- ‘There’s a better way to get wet!’. It was inagurated in June 2004. The water park has received an award of Best Overall Water Theme Park b y Time Out Singapore in the year 2012. There are total 9 rides inside this water park. The rides here are classified into three sections. Thrilling Rides- The Waterworks, Tsunami, Side Up, Torpedo and Ular-Lah. Gentle Rides consists of Shiok River and Jacuzzi while Kiddie Rides include Professor’s Playground and Yippie!